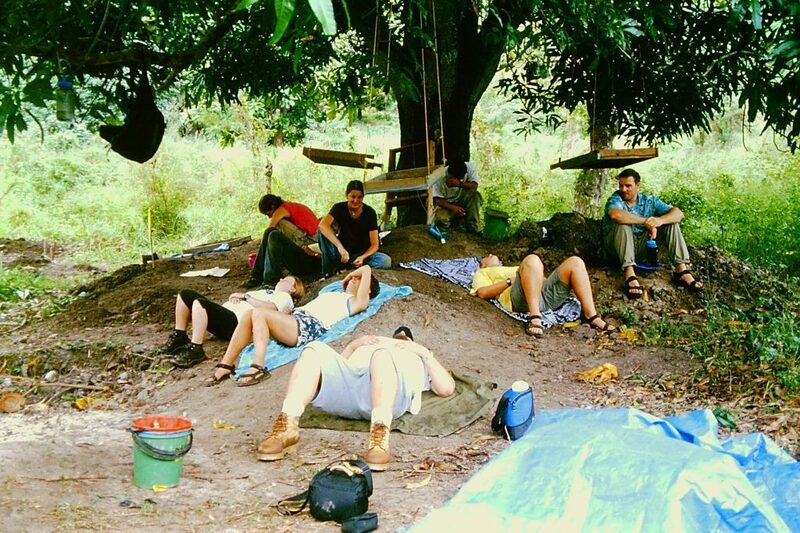 Naptime for archaeology students, Waya Island, 2001. This photo is from a University of Hawaii archaeological field school, which I co-directed with Ethan Cochrane. These students are resting on the backdirt pile after a morning of excavation at the site of Olo, a Lapita site on the shores of Yalobi Bay on Waya. Olo is about 100 meters inland, which is where the shoreline used to be when Lapita people first settled on Waya. Sea levels rise and fall all over the world, and in the ancient western Pacific sea levels were 1.5 meters higher than they are now. Archaeologists have to look inland to find Lapita sites, which are often buried under several meters of later deposits. At Olo, we had to excavate 2 meters down to find the beach sand that the Lapita peoples called home. Lora on A Rare Piece of Fijian History!